Pictured: Part of the big crowd of job-seekers who gathered at the TransNamib premises at Ondangwa for a second day in row. A huge crowd of unemployed youths gathered at the Nehale lyaMpingana Railway station at Ondangwa for the second consecutive day in the hope of being employed even it is just for the next six months. The chaotic scene of Tuesday was not repeated on Wednesday as each of the prospective job-seekers standing in front of the station’s premises held the hope that he or she might still be considered for one of the 40 temporary employment opportunities on offer. However, an employee of TransNamib at the railway station said that the recruitment process already was completed on Tuesday and that no more positions are available. “Those standing outside our premises are still hoping to be employed, but we have already finished the selection of the 40 new employees on Tuesday,” he said. TransNamib advertised the 40 general worker positions because the parastatal needs people to do maintenance work on the railway line for a period of only six months. 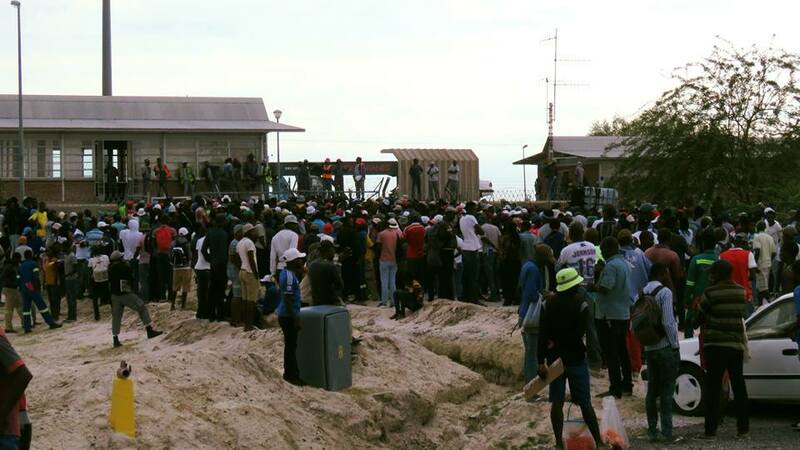 More than 3 000 prospective employees turned up and turned the Nehale lyaMpingana Railway Station at Ondangwa into a chaotic scene. 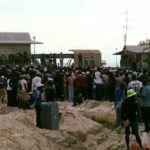 On Tuesday one of the people who hoped to be employed, Jesaja Nambudunga, said that a fairly big number of people were already waiting at the station’s perimeter fence when he arrived there at around 02:00 and by sunrise the number had swelled to more than 3 000 souls. People crushed each other against the barbed wire fence surrounding the TransNamib premises when officials started collecting CV’s and other personal documents at around 08:00. Those lucky enough to be called were put through a tough regime of physical fitness tests which included carrying heavy loads over a certain distance. The methods used for the recruitment of 40 temporary maintenance workers drew some criticism because of the way the job seekers were treated.